Jomtien Beach Paradise floor 14 Duplex, on Jomtien Beach Road. 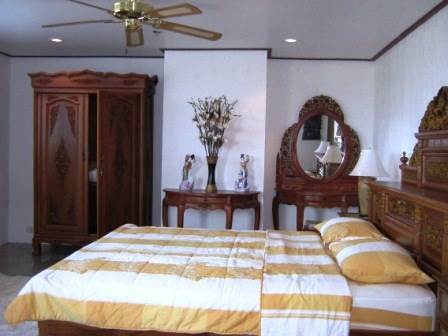 3 bedrooms, 3 bathrooms (1 ensuite), fountain, European kitchen, lounge, dining room, balconies, excellent sea view. 5 air cons, 11 ceiling fans, fridge, microwave, home theatre. Maintenance 3,260 Baht per month. For sale at 8.9 million or rent at 60,000 Baht per month. Foreign ownership. Our reference JTC1035.